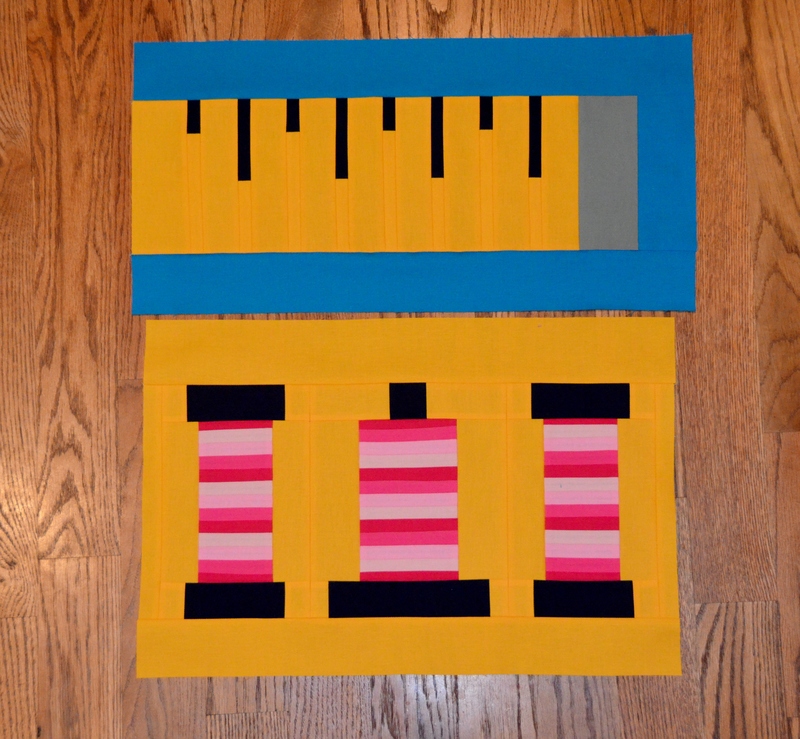 I’ve now finished my second block for the Skill Builder BOM 2014 hosted by Pile O’ Fabric. This block was of three spools of variegated thread. To give the appearance of of the changing colors of the variegated thread, I went to Hobby Lobby and bought just 1/8 yard of 3 different other Kona pinks that I thought coordinated well with the Kona Pomegranate that I already had. I ended up getting Kona Baby Pink, Kona Carnation, and Kona Bright Pink. I’m loving how these blocks look together! 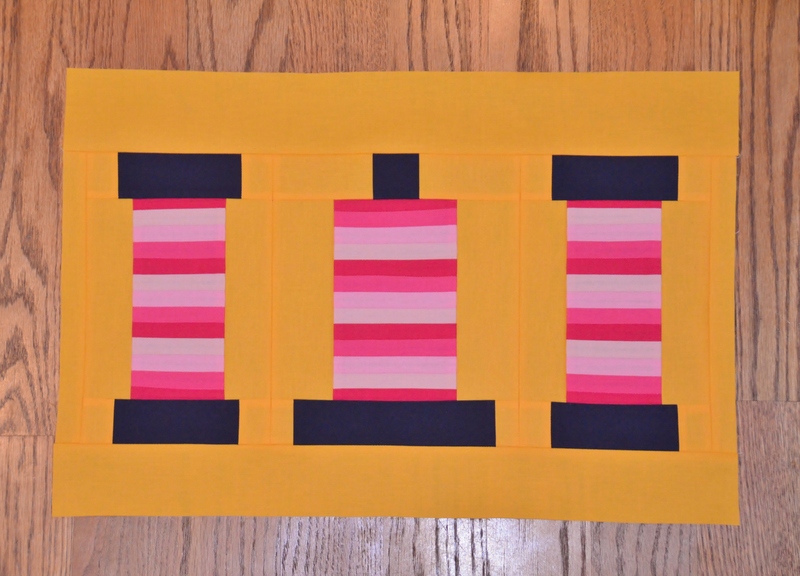 This entry was posted in Block of the Month, Work in Progress and tagged block of the month, blocks, Kona, Modern, solids, thread, work in progress by Kim M. Bookmark the permalink. Very cool! I dig them too. I dont know why I’ve been fascinated with pink as of late. It is so NOT my color, but I love it everywhere I seen it since the new year. Weird! lol! Um, these are adorable!!! Love the different looking spools and the ruler is cool!